The roll out from Tesla Autopilot 1.x to 2.0 has been, uh, less than smooth. 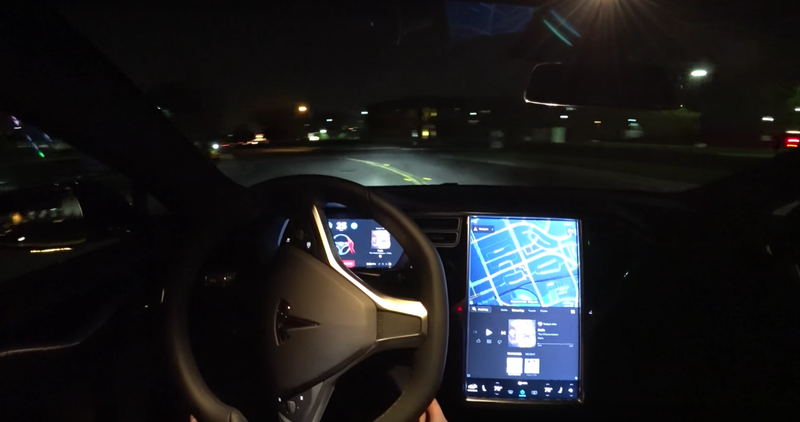 The program is still very much in beta, and out of the car’s eight cameras in its new hardware suite, only one actually gets used in the new Autopilot software, as one intrepid owner armed with painter’s tape discovered. He found that the Autopilot only used two out of eight cameras, but Electrek can actually confirm that Tesla currently only uses one out of the eight cameras of the new hardware suite: the main front-facing camera. The tape covering the other front-facing cameras could have affected the main one which could have led his test results, but there’s really only one camera in use when Autosteer is active. Basically, the new software for Autopilot still uses the same hardware as the old Autopilot. The company wants to eventually get both software and hardware running, but when that’s gonna happen could be months from now. Until then, Tesla will limit speed in line with the cars’ capabilities. It’s weird to see this all happen in very, very public developmental stages, but that’s how Tesla operates. I can see how the pace of advancement that’s so thrilling to Elon and his crew would be more than a little frustrating to actual owners. I would not want to be wondering why expensive high tech parts of my car are indefinitely offline, particularly as there are already unanswered questions of the car’s potentially fatal blind spot still floating around.